Bashneft money laundering probe | Russian Legal Information Agency (RAPSI). 16:23 09/03/2016 The Vienna Regional Criminal Court has refused to extradite former Bashneft CEO Ural Rakhimov to Russia where he stands accused of embezzling over 210 billion rubles (about $2.9 billion). 11:19 14/01/2016 The criminal case against Vladimir Yevtushenkov, board chairman of AFK Sistema holding company, has been closed for the absence of elements of crime in his actions. 13:37 30/07/2015 The Moscow City Court has upheld the house arrest of businessman Levon Airapetyan, a suspect in the Bashneft embezzlement case. 14:12 06/07/2015 Russia’s Investigative Committee has unfrozen the accounts of Ural Invest, a company owned by former Bashneft owner Ural Rakhimov, that were previously seized within the criminal case on the alleged theft of Bashneft stock. 13:33 03/07/2015 The Moscow City Court on Friday extended the house arrest of businessman Levon Airapetyan, a defendant in the Bashneft embezzlement case, until September 15. 18:01 02/07/2015 Levon Airapetyan, currently under house arrest on charges in the Bashneft embezzlement case, claims lieutenant-colonel Alexei Veselyev, head of investigation, abused his authority. 13:41 25/05/2015 The Moscow City Court upheld a lower court decision to keep businessman Levon Airapetyan, a suspect in the Bashneft embezzlement case, under house arrest until July 28. 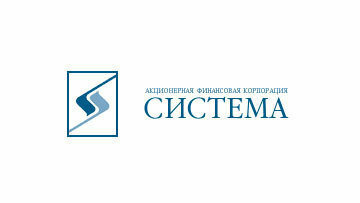 18:32 16/02/2015 The Moscow Commercial Court on Monday ruled in favor of AFK Sistema that sought 70.7 billion rubles ($1.4 billion) in damages from Ural-Invest company over forfeiture of Bashneft stock. 14:16 16/02/2015 Former Bashneft CEO Ural Rakhimov stands accused of embezzling over 210 billion rubles (about $3.2 billion). 13:47 11/02/2015 The Moscow City Court on Wednesday ordered businessman Levon Airapetyan, who stands accused of embezzlement and money laundering in Bashneft case, to remain under house arrest, rejecting his appeal of the restrictions. 12:07 02/02/2015 The Moscow Commercial Court is set to hear on February 16 arguments in a lawsuit brought by AFK Sistema that is seeking $1.4 billion in damages from Ural-Invest over forfeiture of Bashneft stock. 11:40 29/12/2014 Russian businessman Ural Rakhimov claims an action brought by AFK Sistema seeking 70.7 billion rubles ($1.3 billion) in damages over Bashneft oil company to be ungrounded. 10:32 25/12/2014 The Investigative Committee has lifted all restrictions imposed on Vladimir Yevtushenkov, board chairman of AFK Sistema holding company, implicated in Bashneft case. 10:58 22/12/2014 The Moscow Commercial Court has granted a motion on Monday to lift seizure of shares in Bashneft oil company. 15:06 18/12/2014 President Vladimir Putin, during his press conference on Thursday, said that all charges against AFK Sistema chairman and one of Russia’s richest people Vladimir Yevtushenkov have been dropped. 10:36 18/12/2014 Moscow's Basmanny District Court issued an arrest warrant for former CEO of midsized oil producer Bashneft Ural Rakhimov, who is suspected of stealing shares of Bashkir energy companies. 10:40 12/12/2014 Vladimir Yevtushenkov, the board chairman and largest beneficiary of AFK Sistema, has withdrawn his appeal against the ruling of Moscow's Basmanny District Court which extended his house arrest in Bashneft case, RAPSI reports from The Moscow City Court on Friday. 15:19 10/12/2014 Businessman Levon Airapetyan, who stands charged with embezzlement and money laundering in Bashneft case, has been hospitalized, RAPSI learnt in Moscow's Basmanny District Court on Wednesday. 11:36 04/12/2014 The Moscow Commercial Court reviewed the license of the Trebs and Titov oil fields which was held by Bashneft Polyus, a Bashneft and Lukoil joint venture, and revoked it. 16:28 20/11/2014 Russia’s Supreme Court has turned down the appeal against the ruling ordering AFK Sistema to forfeit oil producer Bashneft’s stock, according to the statement posted on the court’s website on Thursday. 17:18 17/11/2014 President of the Russian Union of Industrialists and Entrepreneurs Alexander Shokhin told journalists on Monday that he had been summoned for questioning in Bashneft case. 12:06 17/11/2014 AFK Sistema chairman Vladimir Yevtushenkov has filed an appeal against the ruling of Moscow's Basmanny District Court which extended his house arrest in Bashneft case. 13:34 14/11/2014 Basmanny District Court of Moscow has extended the house arrest of AFK Sistema chair, billionaire Vladimir Yevtushenkov until March 16, 2015, RAPSI reports from the court on Friday. 13:35 13/11/2014 AFK Sistema has announced on Thursday that it won't appeal against the court ruling ordering the company to forfeit Bashneft stock. 10:56 27/10/2014 Ural Rakhimov, former CEO of Russian oil company Bashneft, which came under scrutiny in connection with the AFK Sistema case, faces seizure of assets, reads the ruling of the Moscow City Court issued on Monday. 12:13 13/10/2014 A third-party claim seeking about $4.7 billion from AFK Sistema in Bashneft case was filed by Russia's Investigative Committee in violation of Commercial Procedure Code and was dismissed, an explanatory statement issued Monday by the Moscow Commercial Court reads. 12:13 09/10/2014 Moscow Commercial Court has speedily dismissed on Thursday, a third-party claim filed by Russia's Investigative Committee in Bashneft case seeking over 189 billion rubles (about $4.7 billion) from AFK Sistema’s structures. 12:38 07/10/2014 The costs of legal action brought against Vladimir Yevtushenkov, the chairman of AFK Sistema and one of Russia’s richest businessmen, will be reportedly covered by an insurance. 16:43 02/10/2014 Russian President Vladimir Putin said that he would not interfere in an investigation into the privatisation of Bashneft oil company over which one of Russia’s richest persons had been placed under house arrest. 13:02 02/10/2014 The Moscow Stock Exchange has uncovered possible manipulations with the troubled AFK Sistema stock, and forwarded the finding to the Central Bank of Russia. 12:09 29/09/2014 Ural Rakhimov has stolen shares in oil company Bashneft by allegedly taking advantage of the position of his father Murtaza Rakhimov, a former Bashkortostan President, according to Moscow City Court records. 13:05 25/09/2014 Billionaire Vladimir Yevtushenkov, the board chairman of Russia’s holding company AFK Sistema, will remain under house arrest, according to the ruling issued by The Basmanny District Court on Thursday. 16:04 18/09/2014 The arrest of Vladimir Yevtushenkov, the board chairman and largest beneficiary of Russia’s largest publicly-traded diversified holding company Sistema, will create additional risk for Russia’s investment climate, Economic Development Minister Alexei Ulyukayev said on Thursday. 10:51 17/09/2014 Vladimir Yevtushenkov, board chairman of Russia’s largest publicly-traded diversified holding company Sistema, has been charged with money laundering and placed under house arrest, Investigative Committee spokesman Vladimir Markin announced on Tuesday. 18:32 27/08/2014 The Moscow City Court has upheld an injunction prohibiting AFK Sistema, Russia's top investment company, from selling Bashneft shares.